Margie Muthukumaru, Webster’s director of enterprise information systems, will serve as interim chief information officer after the departure of Kenneth Freeman, who accepted a client executive partner position with technology research and strategy firm Gartner effective January 2017. Muthukumaru joined Webster University in 2010 and has led enterprise information systems for the University. She has served on a number of leadership bodies with Webster, including the Strategic Plan Steering Committee. She is a graduate of the 2014 cohort of Webster’s Global Leadership Academy. “Margie’s prior leadership within Information Technology, her previous experience as a faculty member, and her knowledge of Webster’s global operations through the Strategic Plan Steering Steering Committee and Global Leadership Academy will serve her and Webster well in this role,” said President Elizabeth (Beth) J. Stroble. “Webster’s Information Technology is truly a global operation, with several on-going initiatives that are strengthening our network,” said Provost, Senior Vice President and Chief Operating Officer Julian Schuster. “We are proud to have Margie to guide them forward." "I am excited and honored for this opportunity and look forward to working with Webster community to leverage technology in support of the University mission and goals." Prior to joining Webster, Muthukumaru served as director of Administrative Applications at Maryville University, as well as an adjunct faculty member in mathematics there. 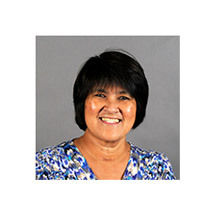 She holds a MS in Management from Maryville University, a BS in Management and Industrial Engineering from Mapua Institute in the Philippines, and a BS in Chemical Engineering from University of Santo Tomas, Philippines.